Open an accountLeveraged trading is high risk. Losses can exceed investment. The Canadian dollar rallied versus its American counterpart on Thursday as disappointing data continues to hurt the USD. U.S. unemployment claims recording a rise of 8,000 applications for 285,000 last week when only 2,000 was forecasted. The rise in the number of claims joins both purchasing managers indices (PMI) manufacturing and non-manufacturing, which are leading indicators of economic health, coming in below expectations. The USD tumble despite oil prices falling around 1.6 percent combined to boost the CAD to trade below 1.38. Comments from U.S. Federal Reserve voting member William Dudley about the decay of global financial conditions putting into question a March rate hike from the central bank. After a historic rate hike back in December macro conditions have shifted dramatically and the 4 rate hikes forecasted by the Fed look unlikely. The USD/CAD depreciated 0.32 percent in the last 24 hours. The currency pair had a volatile day of trading with a 1.16 percent difference between the daily high and low price levels. The loonie managed to remain under 1.38 and will be awaiting the results of Canadian and American employment data to be published on Friday morning. The market will be obsessing on the NFP numbers given the potential implications, but Canadian numbers will play a big part on how the loonie ends the week. After a strong December Canadian jobs are expected to slow down, but keeping the unemployment rate steady at 7.1 percent. The loonie’s recovery after a horrendous January will validate the decision from Bank of Canada (BoC) Governor Stephen Poloz who held rates unchanged despite some market participants pushing for a rate cut after the rapid fall in oil prices and the loonie. The U.S. non farm payrolls (NFP) have been heavily correlated with the ADP private payrolls numbers in the past three months. The ADP beat expectations slightly on Wednesday, February 3 with 205,000 new jobs added to the economy. The forecast for the NFP are a more conservative 189,000 jobs considering the massive 292,000 posted last month. The other factor at play this week was the rise of unemployment claims by 8,000 that marks a trend of rising claims since the second week of December. If there is a chink in the employment numbers it can further question the probability of a rate hike by the Fed sooner rather than later and the USD would fall as a result. This article is for general information purposes only. It is not investment advice or a solution to buy or sell securities. Opinions are the authors; not necessarily that of OANDA Corporation or any of its affiliates, subsidiaries, officers or directors. Leveraged trading is high risk and not suitable for all. You could lose all of your deposited funds. Alfonso Esparza specializes in macro forex strategies for North American and major currency pairs. Upon joining OANDA in 2007, Alfonso Esparza established the MarketPulseFX blog and he has since written extensively about central banks and global economic and political trends. Alfonso has also worked as a professional currency trader focused on North America and emerging markets. He has been published by The MarketWatch, Reuters, the Wall Street Journal and The Globe and Mail, and he also appears regularly as a guest commentator on networks including Bloomberg and BNN. He holds a finance degree from the Monterrey Institute of Technology and Higher Education (ITESM) and an MBA with a specialization on financial engineering and marketing from the University of Toronto. Gold – How bearish was the breakout? MarketPulse is a forex, commodilies, and global indices analysis. 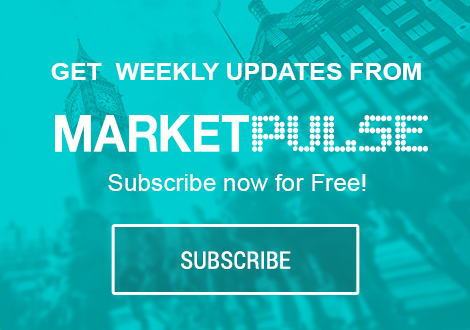 MarketPulse is a forex, commodities, and global indices analysis, and forex news site providing timely and accurate information on major economic trends, technical analysis, and worldwide events that impact different asset classes and investors. This article is for general information purposes only. It is not investment advice or a solution to buy or sell securities. © 1996 - 2016 OANDA Corporation. All rights reserved. All Registered Trade Marks used on this Website, whether marked as Trade Marks or not marked, are declared to belong to their respective owner(s). OANDA Corporation owns Trade Marks of all its "FX" products. OANDA Corporation is a registered Futures Commission Merchant and Retail Foreign Exchange Dealer with the Commodity Futures Trading Commission and is a member of the National Futures Association. No: 0325821. Please refer to the NFA's FOREX INVESTOR ALERT where appropriate. OANDA (Canada) Corporation ULC accounts are available to anyone with a Canadian bank account. OANDA (Canada) Corporation ULC is regulated by the Investment Industry Regulatory Organization of Canada (IIROC), which includes IIROC's online advisor check database (IIROC AdvisorReport), and customer accounts are protected by the Canadian Investor Protection Fund within specified limits. A brochure describing the nature and limits of coverage is available upon request or at www.cipf.ca. OANDA Europe Limited is a company registered in England number 7110087 limited by shares with its registered office at Tower 42, Floor 9a, 25 Old Broad St, London EC2N 1HQ and is authorised and regulated by the Financial Conduct Authority, No: 542574. OANDA Asia Pacific Pte Ltd (Co. Reg. No 200704926K) holds a Capital Markets Services Licence issued by the Monetary Authority of Singapore and is also licenced by the International Enterprise Singapore. OANDA Australia Pty Ltd is regulated by the Australian Securities and Investments Commission ASIC (ABN 26 152 088 349, AFSL No. 412981) and provides and is the issuer of the products and/or services on this website. It's important for you to consider the current Financial Service Guide (FSG), Product Disclosure Statement ('PDS'), Account Terms and any other relevant OANDA documents before making any financial investment decisions. These documents can be found here. OANDA Japan Co., Ltd. First Type I Financial Instruments Business Director of the Kanto Local Financial Bureau (Kin-sho) No. 2137 Institute Financial Futures Association subscriber number 1571.